KETCHUM, Idaho — Don't try this at home. Knee-deep powder in February had snow lovers hitting the slopes in all kinds crafts -- skis, snowboards, snowbikes, and at least one inflatable kayak. Some friends climbing into an IK and sending it huge over a jump at Proctor Mountain in Ketchum. Mason Noyes is a river guide in the summer and says he has jumped his IK before, but never like this. 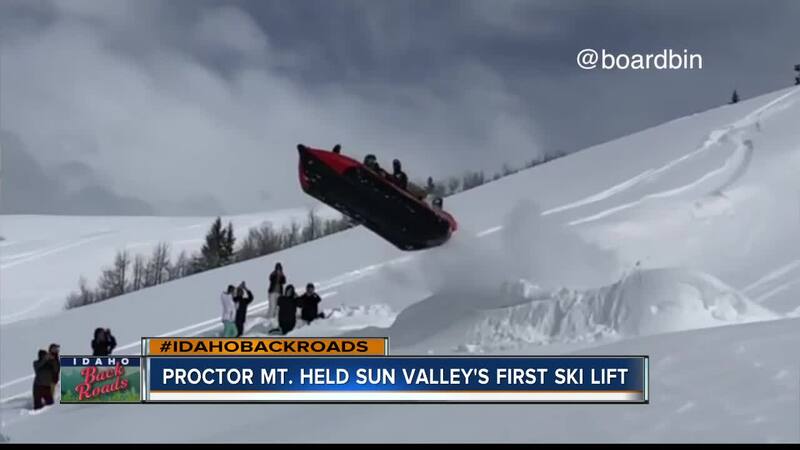 Noyes, who sat in back, said "I was absolutely terrified at how fast we were going before we hit the jump." The boat catching some serious amplitude as it floated through several seconds of hang time. "Then I started thinking, 'man, we're still in the air,'" said Noyes. He added, "Before the jump, I was quite nervous, thinking -- 'there's a chance I might lose my teeth.'" Thankfully, everyone landed safely, smiles intact. And, as awesome as the video is, Noyes is quick to acknowledge the risks and say they might have gotten away with one -- "We just survived something that could have gone much worse. More or less, how I saw it. Just happy we made it and had a whole bunch of people there who were stoked."